Samsung added some new menu features to the NX210, but it's the same new Smart Panel quick menu that is found on the NX1000 and NX20 cameras. The NX210 is also compatible with i-Function lenses, which gives you an extra method for controlling features like aperture, shutter speed, white balance, and even some image effects. Samsung calls the NX210 the "versatile and powerful" choice among the new NX cameras it launched this week. 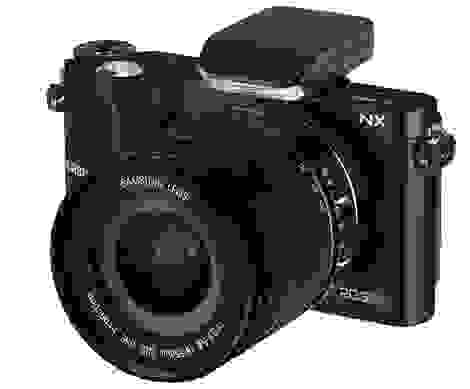 This basically means it's positioned right between the "approachable" NX1000 and the "pro-grade" NX20. 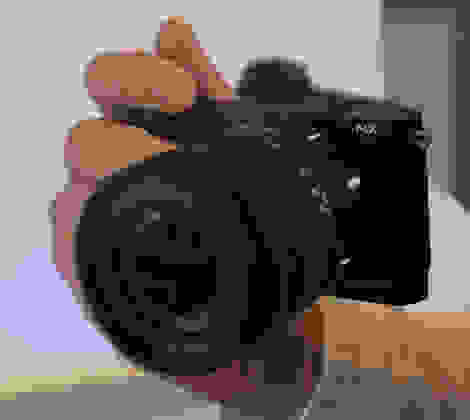 In the end, the NX210 isn't much different than the NX1000—it's got nearly identical proportions and most of the same features—so it isn't really any different to use. The NX20 comes with a big larger of a lens, so that could make it more challenging to handle for some users, and it comes with an AMOLED LCD instead of a TFT-LCD that is featured on the NX1000. According to Samsung's specs, the NX210 has the same dimensions (4.59 x 2.46 x 1.44 inches) and the same wight (just about half a pound) as the NX1000 camera. Of course, the NX210 comes with a slightly larger lens (18-5mm kit lens), so that will make it a big heftier as a whole package. The NX210 handles much like most compact system cameras we work with. 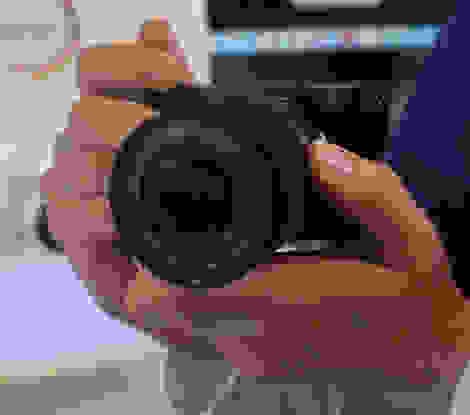 It can feel great with a small lens, and it can easily be used in one-handed, but it may feel strange to people who are used to larger SLR cameras with bulky grips. The right-side bump on the NX210 is subtle, and it doesn't give your fingers much to wrap around in order to grip the camera. ... but it is more comfortable if you use a second hand for support.